Ron Edmonds was quoted in a November 12, 2018 article by Stanislav Van Genderen, published in the Dartmouth Business Journal, entitled “BrightView IPO and the Landscaping Market.” This article also appears on Seeking Alpha. Ron Edmonds was quoted in the May 2018 edition of Lawn & Landscape in article entitled “Market Share,” which was part of the Lawn & Landscape 100 coverage. An article by Ron Edmonds entitled “Hire Your Successor” appeared in the October 2017 issue of Landscape Management. he article was picked up by the CPA Practice Advisor under the title, “How to Value a Green Industry Business” in September 2017. Here’s a link. Landscape Management carried an article in March 2017 entitled “Step by Step: How to prepare a business for sale” based on information provided by Ron Edmonds of The Principium Group. Here’s a link to the article. Ron Edmonds was quoted in a March 2017 article by Lindsey Getz of Turf Magazine entitled “Why You May Be Negatively Impacting the Sale of Your Business.” Here’s a link to the article. Ron Edmonds was quoted in a March 2017 article by Ron Hall of Turf Magazine entitled “The Market for Specialized Companies Remains Strong.” Here’s a link to the article. Ron Edmonds was quoted in a March 2017 article by Ron Hall of Turf Magazine entitled “Prepare for your Company’s Future Sale.” Here’s a link to the article. Ron Edmonds of The Principium Group was quoted in a February 2017 Total Landscape Care article by Jill Odom entitled “Snow removal business can be revenue feat or famine. Here’s a link to the article. 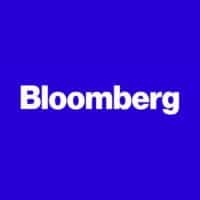 Ron Edmonds was quoted in a February 2017 article by Patrick Clark on Bloomberg, entitled “The Snow Removal Business is a Mess.” Here’s a link. Ron Edmonds was featured in a January 2017 Landscape Management article by Dillon Stewart entitled “LCF Panelists Weigh In on Biggest Mistakes.” Here’s a link to the article. Ron Edmonds was featured in a November 2016 Landscape Management article by Dillon Stewart entitled “Q&A: Experts discuss the biggest mistakes LCOs make.” Here’s a link to the article. Landscape Management published a video of Ron Edmonds discussing M&A activity in the lawn and landscape industry. Here’s a link to the video. It was filmed at the 2016 Landscape Management Lawn Care Forum in Orlando. Chuck Bowen of Lawn & Landscape mentioned Ron Edmonds in an October 2015 article covering the Wealth Building Summit presented by Jeffrey Scott Consulting and The Principium Group before the 2015 Green Industry Expo. Here’s a link. Ron Edmonds was mentioned in an article by Katie Tuttle of Lawn & Landscape covering the Breakfast with Champions at NALP’s 2015 Green Industry Conference. Here’s a link. Ron Edmonds was quoted in the December 2014 edition of Total Landscape Care in an article by Patty Vaughan entitled “Landscapers Discuss When and How to Start the Exit Strategy Process.” Here’s a link to the article.  Ron Edmonds was quoted in an online Landscape Management article at landscapemanagement.net, entitled “Former Brickman Exec Bogan Named TruGreen Landcare CEO”. Here’s a link to the article. Ron Edmonds was quoted on the future of private equity investment in the lawn and landscape industry in the October 2014 issue of Lawn and Landscape magazine. It is part of the State of the Industry section. Here’s a link to the article. Ron Edmonds was quoted in an online article from The Economist entitled “Privet Equity – America’s Gardening Business.” The article takes a look at private equity interest in the lawn and landscape industry. Here’s a link to the article. Ron Edmonds was quoted in two articles in the May 2014 edition of Lawn and Landscape. One is “Battered but Breathing” by Brian Horn. The article discusses the state of TruGreen Lawncarefollowing its spin-off from ServiceMaster earlier this year. Here’s a link to the article. The other is “L&L Insider” by Chuck Bowen which looks at the possibility of a Brickman-ValleyCrest combination. Here is a link to that article. Ron Edmonds was quoted in several articles about the possible acquisition of The ValleyCrest Companies by KKR&Co.-backed The Brickman Group, Ltd. Here are links to articles on the following trade magazine sites: Lawn and Landscape, Landscape Management and Total Landscape Care. Ron Edmonds was quoted in article entitled “ESOP: The exit strategy breeding ownership pride in the Green Industry Stock Ownership Plans” in the April 2014 issue of Landscape Management. An article by Ron Edmonds entitled “Questions to Ask: Keep These Queries in Mind When You Consider Your M&A Options” appears in the February 2014 edition of Lawn & Landscape magazine. Here’s a link to the digital magazine. Here’s a link to the web version. Ron Edmonds was quoted in an online article from Landscape Management entitled “ServiceMaster Slates TruGreen Separation.” Here’s a link. Ron Edmonds was quoted in an online article by Lawn and Landscape managing editor Brian Horn, entitled “Brickman Sale Seen as Positive.” Here’s a link. Ron Edmonds was quoted in an online article by Lawn and Landscape editor Chuck Bowen entitled “ServiceMaster Details TruGreen Spin-Off.” Here’s a link to the article. An article by Ron Edmonds was published in the October 2013 issue of Landscape Management, entitled “What if I Can’t Sell My Business?” Here is a link to the article. Ron was also quoted in an article in the same issue entitled “Eyeing Their Moves” by associate editor Sarah Pfederer. Here’s a link to the article. Ron Edmonds was quoted on Lawn & Landscape‘s website in an article entitled “Brickman on the Block” regarding the possible sale of The Brickman Group. Here is a link to the article. Bryan Clayton, who was president of Peach Tree Landscape in Nashville, wrote a blog post for Landscape Management entitled, “Time for an Exit: Five Questions to Ask Yourself”, sharing his thoughts on his recent experience in selling his business with other green industry business owners. Peach Tree was a Principium client that was recently sold to Landscapes USA. Thanks to Bryan for taking the time to share his experience with other business owners. It is good for people to hear the stories of people who have actually gone through the process. Here’s a link to the article. An article by Ron Edmonds was published in the February 2013 issue of Landscape Management, entitled “Choose a Good Accountant.” Here is a link to the article. An article by Ron Edmonds of The Principium Group was published in the October 2012 issue of Landscape Management, entitled “How to Prepare Your Business for Sale”. The article is on pages 78-81. Here is a link to the magazine. Ron is also quoted in the same issue (October 2012) of Landscape Management in an article by senior editor Beth Geraci entitled “Playing Their Cards Right.” This article, part of the special section Industry Pulse 2012, is on page S21-S22. Landscape Management February 2012 – Ron Edmonds of Principium was quoted extensively in an article entitled “Tailor-Made Growth” by managing editor Dan Jacobs. The Article begins on page 18. In addition, Dave Dworsky, CEO of Principium client Dworsky Services, Inc. is quoted. An article by Ron Edmonds, entitled “Knowing When the Time is Right” appeared in the October 2011 issue of Nursery Management. Here’s a link to the article. Ron Edmonds of The Principium Group was quoted in the October 2011 issue of Mergers & Acquisitions regarding how mergers & acquisitions firms use social media. Mergers & Acquisitions in the official journal of the Association for Corporate Growth (ACG). Ron Edmonds was quoted in the June 2011 issue of Lawn & Landscape regarding the acquisition of TruGreen Landcare by Aurora Resurgence. Here’s a link to the article. Ron Edmonds of The Principium Group was interviewed for an article entitled “Smart Money” in the January 2011 issue of Landscape Management. The article, by Landscape Management editor-in-chief Nicole Wisnewski, profiles current investment within the green industry and addresses trends affecting investment and mergers & acquisitions within the industry. Here’s a link to the magazine. The article is on pages 14-23. Ron Edmonds of The Principium Group was interviewed for an article entitled “M&A Upsurge” in Landscape Management magazine’s June 2010 issue. The article, by Landscape Management editor-in-chief Nicole Wisnewski is included in the special section on the LM150, the 150 largest companies in the industry. The article, included in the LM150 Special Supplement, is on S21-S23. Here’s a link to the magazine. For a list of selected past speaking engagements, click here.